Star Wars: Lucasfilm Confirms Rey And Kylo Ren Have "Mysterious Connection"
Sometimes developments seem obvious to the naked eye, but it’s not until a source confirms it that it becomes a big deal. This Star Wars news is one of those times, as Lucasfilm subtly confirmed a ‘mysterious connection’ between the Force Awakens’ main characters Rey and Kylo Ren. An update to both Rey and Kylo Ren’s Star Wars Databank entries confirms the connection between the two, possibly hinting at some greater development to unfold in future films. While the former Ben Solo’s legacy was one of the key reveals in Episode VII, the parentage and backstory of Rey was shrouded in mystery, probably to that the next films in the saga could further explore it. And while many fans cast doubt that Rey could be Luke Skywalker’s daughter, many executives at Disney and at Lucasfilm continue to refer to the main line of films as “the Skywalker Saga,” which probably is not a term bandied about lightly. The mystery of Rey’s lineage is probably one of the key storylines in this new trilogy of films, and will likely stretch into Episode IX. Are you excited to see Rey and Kylo Ren's connection further explored in Star Wars: The Last Jedi? Let us know with your own Anticipation Ranking! 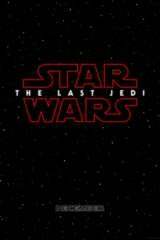 In Star Wars: The Force Awakens, thirty years after the defeat of the Empire, Luke Skywalker has vanished and a new threat has risen: The First Order, led by the mysterious Supreme Leader Snoke and his dark side enforcer, Kylo Ren. General Leia Organa’s military force, the Resistance — and unlikely heroes brought together by fate — are the galaxy’s only hope at thwarting a new reign of evil. Star Wars: The Force Awakens was directed by J.J. Abrams and stars Harrison Ford, Mark Hamill, Carrie Fisher, Adam Driver, Daisy Ridley, John Boyega, Oscar Isaac, Lupita Nyong'o, Andy Serkis, Domhnall Gleeson, Anthony Daniels, Peter Mayhew, and Max von Sydow.